(RNS) What does the Bible have in common with Fifty Shades of Grey or one of John Green’s best-selling young adult novels? 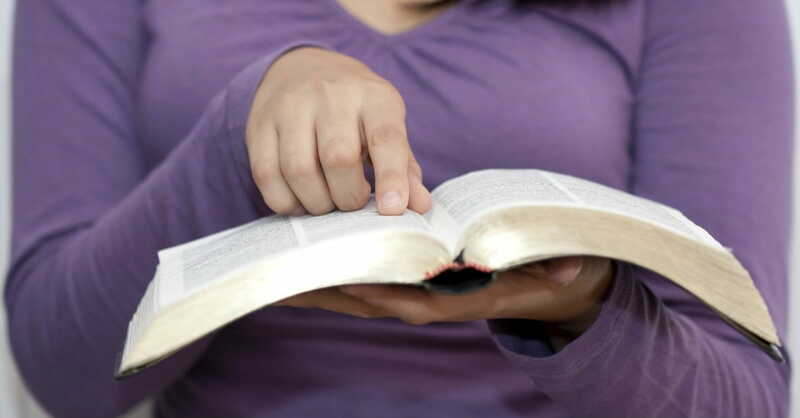 For the first time in nearly a decade, the Bible made the list of the American Library Association’s 10 most frequently challenged books last year. The 2015 list was released Monday (April 11) as part of the ALA’s 2016 State of America’s Libraries report. It includes books that have drawn formal, written complaints from the public because of their content or appropriateness, according to the ALA. The Bible, which came in at No. 6, was challenged for its “religious viewpoint,” the ALA said. The Christian Scriptures are a “regular” among the complaints forwarded by public libraries and schools to the ALA, according to James LaRue, director of the association’s Office for Intellectual Freedom. But it’s been seven years since the Bible received enough complaints to make the Top 10 list, LaRue said. “There’s almost a little retaliatory feel to people speaking up against the Bible because they want to go on record as being opposed to Christian opposition to LGBT (issues) or Christian opposition to Islam,” he said. But there’s “definitely” a growing number of complaints lodged about books for their “religious viewpoints,” according to the director. Also challenged for the same reason: I Am Jazz by Jessica Herthel and Jazz Jennings, a picture book about a transgender child based on Jennings’ experience; Beyond Magenta: Transgender Teens Speak Out by Susan Kuklin, which follows transgender or gender-neutral teenagers through their personal acknowledgments of gender identity; The Curious Incident of the Dog in the Night-Time by Mark Haddon, a murder-mystery that drew complaints for “profanity and atheism”; and Nasreen’s Secret School: A True Story from Afghanistan by Jeanette Winter, about a young Afghan girl attending school under the Taliban. That’s half the challenged list, although the ALA says only 291 of the 5,099 complaints it received between 2000 and 2009 were about religious objections. Books were most likely to be challenged in that time for sexually explicit material, offensive language or being unsuitable for the intended age group. “I think the value of the Top 10 list is it’s an index of complaints, and so it says, ‘What are the things we fear in our culture? '” LaRue said. LaRue also noted the “persistent mistaken belief that separation of church and state says that you can’t find a Bible — or really any religious scripture — in a public library or school library, and that’s just wrong." “I think it’s important for people to understand the job of the library is to provide information and provide access to a number of different views. We’re not endorsing one or trying to tamp down others. We’re just opening our doors and inviting people in to satisfy their curiosity,” he said. Green’s “Looking for Alaska” topped the 2015 list for the usual reasons: sexually explicit material, offensive language and being considered unsuitable for its intended age group. Others on the list included Fun Home by Alison Bechdel, Habibi by Craig Thompson and Two Boys Kissing by David Levithan. *This article first posted on the Religion News Service.